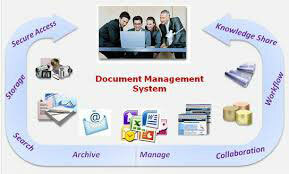 A document management system offers a way to better organize, create, control and distribute documents electronically. Not only can it index and organize your word processing documents, spreadsheets, and other application documents that you create, it can become an electronic filing cabinet for documents scanned into your computer system and help to reduce the amount of time spent searching for documents. With full integration with your word processor and applications, it’s as easy as selecting the “save” command to store your document. Document management is not just about documents; it’s about organizations and people. It brings together all of an organization’s source of knowledge, including relevant e-mail communications – incoming or outgoing. Organize them by client and matter to quickly find documents relating to a specific matter. Take charge of your organization’s knowledge and intellectual property assets! By recent estimates, 15% of all documents are misplaced, and in some environments up to 30% of the workday is spent searching for information. All too often the documents are scattered on shared hard drives, intranets, and portable devices. Without effective ways of managing their documents, organizations find it harder than it should be to address problems like document retention and compliance. Using a document management system can assist you in your plan to go paperless – at least “less paper”. Stop searching for lost documents in files – search for them on your computer. When you use a document management system, you can quickly profile your new information in ways that make it accessible exactly when and where it is needed. Document management gives you control over document security and access. Confidential documents can be made available only to the people who need to see them. Documents can be continually indexed as they are added to the system so that you can perform full-text searches and find the documents you need. Document Management is an included feature in most practice management systems or your practice management system can be linked to Worldox® for a more robust solution. All documents, whether scanned, emailed, or created by you, can be found in your case files in your Practice Management System, or through your Document Management System. C&S LegalTech offers free consultations and demonstrations of the various product offerings. DMS systems supply accountability and control, both in day to day operations and in terms of compliance and audit. Every decent DMS provides a profile-based structure to “tag” and track files. 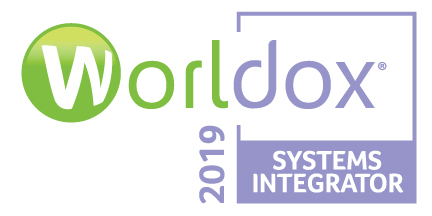 Only Worldox™ packages those basic tools in such a sophisticated, user friendly, interface, and provides the powerful indexing, configuration and security utilities Administrators need to implement a truly effective DMS system in network, WAN and hosted environments. Worldox™ GX4 brings together everything you need to organize, control, describe, index, and categorize all of your electronic documents and e-mail content. Control – create a firm-wide structure for document filing and retrieval. Scanning – Worldox integrates seamlessly with all major scanning solutions. Speed – Allows quick search by profile or full text searches. Handles all common file formats and scanned documents. Very low cost of implementation and ownership. Transparent offline operation in the event of network failure. An easy, friendly, unified interface that allows users to instantly pinpoint and view the right file, wherever it was created, whatever format it uses, or wherever it’s stored. Quick Profiling, to help streamline and accelerate the process of “profiling” new files, so they can be instantly accessed by whoever needs them. Advanced full text search and retrieval, powered by the industrial-strength ISYS enterprise search engine. Built-in Outside/In document viewing that supports over 270 formats, whether or not the source programs are available. Powerful, granular document security, at the document, user, and group level, plus full support for your organization’s Active Directory security model, and comprehensive auditing. Complete access and version control, to help multiple authors coordinate their activities and make sure the correct document version is always being used. Full-fledged document retention and archiving tools that let you automatically assign predefined lifecycles to your documents, and specify what will happen when those lifecycles end. With Symphony Suite, your firm can use optimized scanning processes and automatic OCR technologies to manage paper documents with the same level of efficiency as it manages electronic documents. 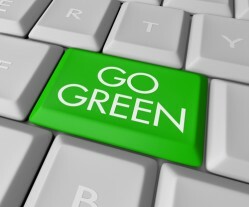 Document Management is the foundation of moving to a “paperless office.” Once you make the commitment to be less dependent on paper, you must have a system in place to ensure that the filing and retrieval of electronic document content (including email) is consistent, effortless and accurate. The volume of paper in a law office is enormous. Although you cannot completely eliminate paper from your desk and your office, you can develop a system that will allow you to handle paper less, save storage space, find documents quickly, instantly transfer documents electronically, and save time and money. Studies have shown that professionals often lose 500 hours or more a year just looking for files and documents. By scanning incoming documents and saving them into your Practice Management or Document Management system, you can have all incoming and outgoing documents available at the click of a mouse, rather than waiting for your secretary to locate the file or document. Email a copy to your client or another attorney quickly and efficiently. Scanning equipment is now very affordable, and the software you need to convert those paper documents is either included with the scanner, or very affordable. NetDocuments has been the leader in cloud-based document management since 1999, helping firms to reduce costs and increase productivity with enterprise search, built-in disaster recovery, client, matter, and project-centric workspaces, and any time access on a modern platform that scales to both small and large firms alike. NetDocuments offers a powerful suite of tools for document creation, organization, and editing, including integrations with Microsoft Office applications. Combining these powerful tools with easy to use features and applications for users of all skill level will allow for smarter document management within the office. In a world overwhelmed with paper, Sony introduces a revolutionary new way to work. Digital Paper from Sony, in conjunction with a document management solution, gives you the power to annotate, share, and save your documents – all from a handy device that’s light enough to carry anywhere! Let us show you how easy it is to get started!